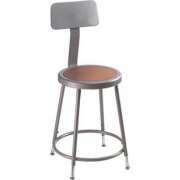 Tired of being distracted by students swiveling around on their stools during lessons? 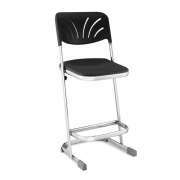 You can get the benefits of counter-height seating without the distractions with our excellent selection of lab stools. 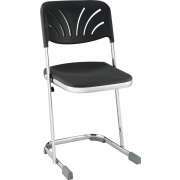 No matter what height or seat material you prefer, we have a number of excellent options. 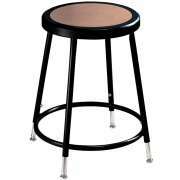 What stools should you get for a school science lab? 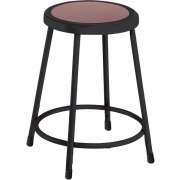 Both square and round stools are available in a wide variety of styles ranging from stately and conservative to sleek and cool. 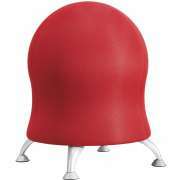 We have some great art stools that fit well in creative spaces as well. No matter what your taste and budget are, you're sure to find great options at Hertz Furniture. 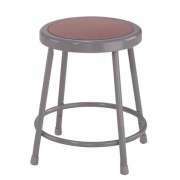 What material should I get for lab stool seats? 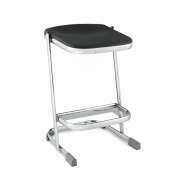 If you are looking for lab stools or art stools, seat materials are very important. When students are using chemicals and various mediums in the classroom or science lab, it is important to make sure that your furniture can stand up to these materials. 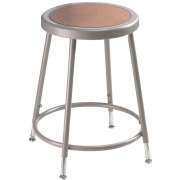 That’s why you need to take science lab furniture into consideration when working on school science lab design. 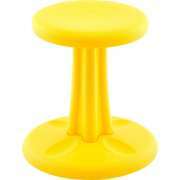 Hard plastic stools are tough and attractive. They are very easy to clean and highly resistant to damage. Hard plastic comes in a wide selection of colors so you can coordinate a whole room or choose a variety of options to add some flair. 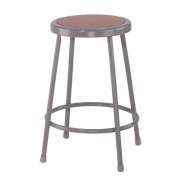 Where can I find wood stools that fit my budget? Many schools feel stifled by budgetary concerns. At Hertz Furniture, we provide excellent options in virtually any price range. 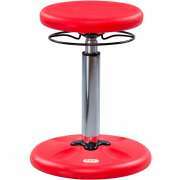 Our hardboard and steel art stools are designed for many years of use, and are available at a price you can afford. They are built to stand up to rambunctious students for many years of experiments and masterpieces. 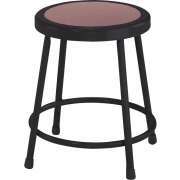 Stool seats also come in scratch- and stain-resistant high-pressure laminate. The natural charm of a wooden stool can be quite inspiring in your school art room. Wood stools have a classic appeal that will match perfectly with an earth-toned setting or even a more vibrant color scheme. They are also exceptionally strong, sturdy and reliable. 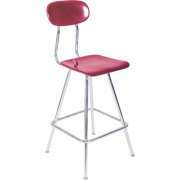 Although seat material is quite important when selecting school stools, there are a number of other factors that should be considered. If students will only be seated for short amounts of time, you might choose to forego the expense of backrests. However, when students are distracted by pain or discomfort, it is hard for them to stay focused on the lesson. 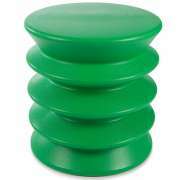 Therefore, if you have extended frontal lessons or instructional periods, backrests are worth considering because they provide added support that will keep your students comfortable for longer. 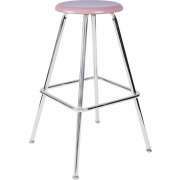 What kind of stools are good for a school art room? Getting the right art stools really makes a difference. Hard seats can be uncomfortable when students are spending many hours touching up a painting or sculpting a masterpiece. Luckily, we offer many models that include padded seats which provide superior support. With great padding, artists can lose themselves in their work and enjoy hours of uninterrupted inspiration and productivity. How can I be sure that my art stools are the right size? No matter what your budgetary, spacial and practical concerns are, there is one feature that is always convenient to have. 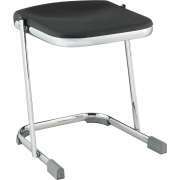 Adjustable-height stools are the optimal choice because they offer maximum versatility. Most schools serve students of various ages and sizes, and an adjustable height ensures that all students can enjoy appropriately-sized furniture. There are a number of additional features that can be quite convenient to have in any setting. 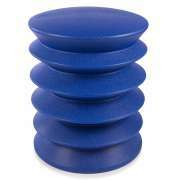 Stackable stools make it easier to clear the room and save space in storage. Many models include foot rings which reinforce the frame and provide the perfect place to rest feet, especially if feet cannot reach the floor. 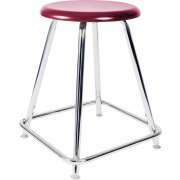 You can also choose between square and circular seats for your lab stools, depending on the style that is most attractive according to your personal taste. 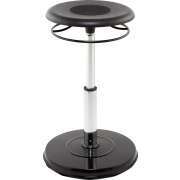 Hertz Furniture’s huge selection of wooden stools and lab stools includes something for everyone. Our attractive models can fit any style, space or budget to provide you with the ideal seating solution. Our art stools come from leading manufacturers including National Public Seating, Wisconsin Bench, Barsky Fleming and Troutman Chair. If you need help determining how many stools you need or what the best choice is, contact the Hertz Project Solutions team for free project-planning advice.